This set of readings is interesting; the first pericope seems not to fit with the other two, at least initially. 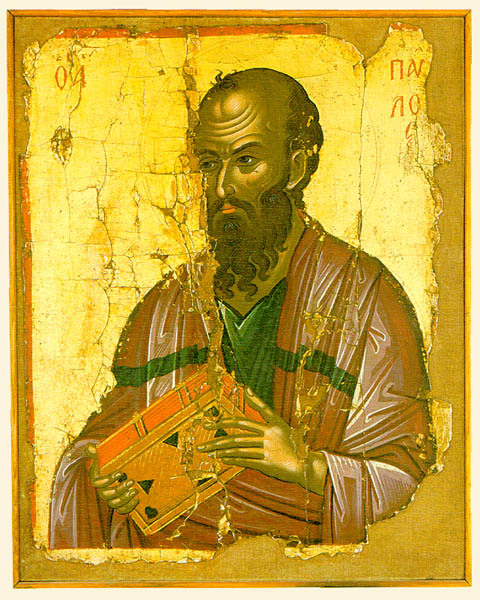 St. Paul the Apostle ended his days under house arrest in Rome. He was free to preach there, until he died of beheading. His martyrdom was a form of religious persecution. Religious persecution is recognizable. If one, for example, risks severe penalties (such as incarceration or death), legal or informal, for attending the church of one’s choice, one suffers from religious persecution. Many of my fellow Christians live their faith under religious persecution. I, a citizen and resident of the United States of America, do not suffer religious persecution, fortunately; nobody interferes with my church-going. Yet I do know of incidents of domestic terrorists burning churches or vandalizing houses of worship, often out of racism or xenophobia. These actions constitute forms of religious persecution. Yet legal authorities in the United States often deal with those domestic terrorists. Wise governance can minimize, although not prevent, informal religious persecution. Wise governance certainly prevents official religious persecution. Yet there is no such thing as absolute freedom. I know, for example, of some extreme cases in which child abusers have attempted to hide behind appeals to religious freedom. However, religious freedom does not excuse domestic violence; prosecution of that offense does not constitute religious persecution. When Christianity endures religious persecution, the faith emerges stronger for the ordeal. The blood of the martyrs truly waters the Church. St. Paul the Apostle was one of the laborers who went out to work in God’s fields, for the harvest; he focused on Gentiles. He, writing, probably in the 50s C.E., addressed the church at Rome, a congregation he had not yet visited. The Apostle, concerned about his safety, was planning a trip to Jerusalem, to deliver the collection for the church there. He was also planning to visit Rome. St. Paul arrived in that city eventually–as a prisoner. (Read Acts 27-28.) He died there. St. Paul, a Roman citizen, knew who his king was; God was his king. Unfortunately, St. Paul’s emperor as Nero. Many of St. Paul’s ancestors in 1 Samuel 12 did not understand, however, that their only proper king was God. The majority of them and their descendants for a number of generations disregarded God. One kingdom became two kingdoms, both of which fell. St. Paul, for all his vices (including arrogance and excessive querulousness), followed Jesus after the road to Damascus. He suffered also, but for the sake of righteousness. Ultimately, in 64 C.E., he became a martyr via beheading. The activities of St. Paul from the road to Damascus forward changed the world for the better. Nero, Emperor of Rome, and most of the Kings of Israel and Judah did not. Most English-language translations of Psalm 14, nearly identical to Psalm 53, do not do the text justice, especially in the first verse. The “fools” are actually wicked, for example. Furthermore, the saying that “there is no God” is not a statement of modern-style atheism. No, it means that God does not care and is absent from the world in any meaningful way. That misperception leads the wicked deeper into their perfidy. God is present in the world in meaningful ways. God also cares–deeply. We read this in Luke 15:1-10, the Parable of the Lost Sheep. We read this also in the entire Book of Ruth. We read of God’s concern repeatedly in the writings of St. Paul the Apostle, who ended his days in Rome. And, if we affirm that God cares, we acknowledge that we should do the same. If we recognize the presence of God in meaningful ways in the world, and if we are spiritually honest, we must then admit that we have an obligation to be present in the world in meaningful ways also. These are great challenges. They might even prove to be more than inconvenient to us. Nevertheless, grace–the only way we can rise to this challenge–is available, fortunately. A twig shall sprout from his stock. A spirit of devotion and reverence for the LORD. Nor decide by what his ears perceive. And decide with justice for the lowly of the land. And slay the wicked with the breath of his lips. And faithfulness the girdle of his waist. In the Torah Moses was God’s choice to lead the Hebrews for many years. To oppose Moses, therefore, was to sin, according to that extended narrative, as it has come down to us in its final form. Disobedience to the principles of the Law of Moses, according to the theology of subsequent biblical books, led to the destruction of two Hebrews kingdoms. Yet, texts indicated, restoration and good times would follow the Babylonian Exile. The theology of obeying religious leaders, which occurs in Hebrews 13, meshes well with the composite pericope from Numbers 16. The historical context of Christian calls to obey approved religious leaders, present in the Bible as well as in early Christian writings from subsequent centuries, occurred in the context of doctrinal formation. Doctrines did not fall from Heaven or appear magically, fully formed. No, human beings debated them and sometimes even fought (literally) over them. Orthodoxy, as approved church leaders have defined it, has changed over time. For example, Origen (185-254 C.E.) was orthodox by most of the standards of his time. Yet he became a heretic ex post facto and postmortem because the First Council of Nicaea (325 C.E.) contradicted elements of his Trinitarian theology. Throughout the Christian past orthodox leaders have disagreed with each other and with those they have labeled heretics (often accurately) in real time. This raises a legitimate question: Whom is one supposed to regard as authoritative. This is an old problem. The ultimate answer has ways been God, but even heretics have tended to agree with that answer. Early Christianity was quite diverse–more so than historians of Christianity understood for centuries. How was one supposed to avoid following a false teacher? St. Paul the Apostle understood the answer as being to listen to him and his associates. Apostolic succession was another way of establishing orthodox credentials. There were always critics of orthodox leaders (who were no less imperfect than heretics), as there had been of Jesus and St. John the Baptist before them. Do they teach and practice love of others, focusing on the building up of community without sacrificing the individual to the collective? Do they teach and practice respecting the image of God in their fellow human beings, even while allowing for the reality of difficult moral quandaries relative to that issue? Do they focus on the lived example of Jesus, leading people to God via him, instead of focusing on any human personality, especially that of a living person? Do they teach and practice compassion, as opposed to legalism? Salvation, which is for both the community and the individual, is a matter of God’s grace and human obedience. That grace demands much of its recipients. Go, take up your cross and follow Jesus, it says. Share your blessings and take risks for the glory of God and the benefit of others, it requires. Fortunately, it does not command that I have an answer for the question of whether the Holy Spirit proceeds from the Father and the Son or just from the Father.